The Apperleys came from England. Thomas believed his father worked as a gardener or gatekeeper on the estate of King Edward VII. He told how he played with Prince Edward as a boy and ran around as young men. Some believe they came from Kings Lynn County, while others say Leeds or Leistershire County. It is thought Apperley is of Welsh descent as Ap is a Welsh prefix for the name Perley. 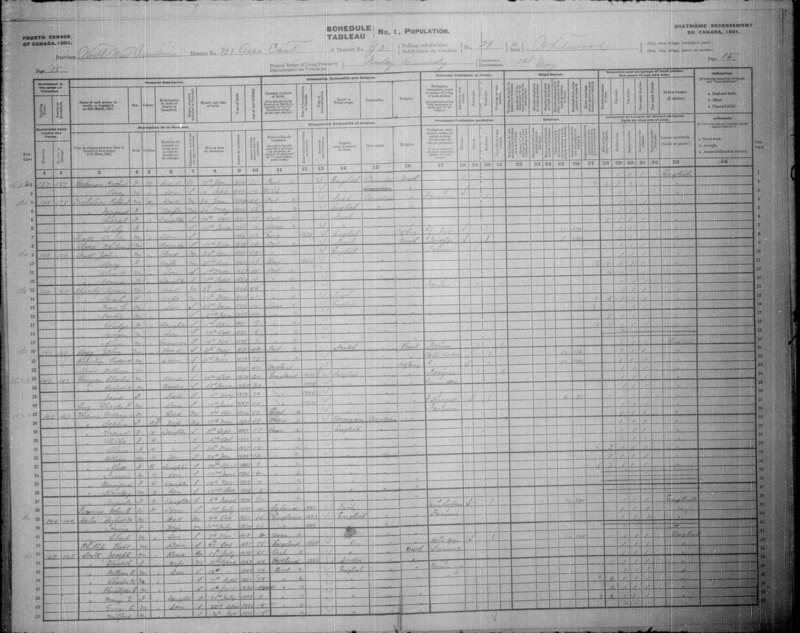 We do know that an Apperley married a Hatton and they had nine children, James, Arthur (the first son born in Canada), William (homesteaded in Mariapolis, Manitoba now known as Boissevain), Waldemar, Francis, Tyler, Thomas, Kate and May. Thomas James, the seventh son, married Sarah Ann White. It is from this branch of the family that we are descendants. In 1881 Thomas came west from Alliston, Simcoe County, Ontario to Brandon, Manitoba with his wife and six of his seven sons. The older boy, John, stayed in Ontario until 1883. In the spring of 1882 Thomas came on west to Whitewood, North West Territories. It was the end of the railroad so he had to get off. He located his homestead on the NW 20-15-2-W2 and SW 20-15-2. It was three and one half miles south of the Canadian Pacific Railway. He built a small shanty on the homestead and hired other homesteaders to break five acres of land. He then returned to Brandon and worked at his trade of bricklayer and stonemason. It was Thomas who built the first brick building in Brandon, the Bobier Hotel. In the fall of 1882 he and his family came to Whitewood on a flat car along with all their household effects. They were met by a homesteader with a team of oxen and wagon to take them to their new home. The youngest boy would not ride in the wagon because he was afraid of the oxen, which he called Buffaloes. Thomas Apperley, son of Thomas Apperley and Mary Williams, married Hannah Hatton in England. They immigrated to the United States before 1836 where their first child John Clark was born. Their second child, Mary Ann, was also born in the United States in 1842. They entered Canada between 1842 and 1845 and settled in Simcoe County, Ontario. The remainder of their family was all born in Canada. Thomas James married Sarah Ann White, daughter of William White and Rebecca Thompson. In 1881 Thomas and Sarah came west from Ontario to Brandon, Manitoba with their daughter and six of their seven sons. The elder son, John, stayed in Ontario until 1883 when he came west to join the family. In the spring of 1882 Thomas came to Whitewood, North West Territories and located his homestead which was the NW 1/4 20-15-2-W2, three and one half miles south of the Canadian Pacific Railroad. He built a small shanty on the homestead and hired another homesteader to break him five acres of land, then he returned to Brandon, and worked at his trade of brick and stonemason. It was Thomas Apperley who built the first brick building in Brandon, the Bobier Hotel. In the fall of 1882 he and his family came to Whitewood on a flat car along with all their household effects. They were met in Whitewood by a homesteader with a team of oxen and wagon to take them to their new home. The youngest boy, Vernon, would not ride in the wagon because he was afraid of the oxen which he called "Buffaloes". During the winter of 1882 Thomas worked for the Canadian Pacific Railway digging a well for fifty cents a day. The following summer, and for many years after, he worked at his trade of brick and stonemason helping William Nicholson, also a stonemason, build many of the brick and stone buildings in the town of Whitewood and surrounding country, many of which are landmarks today. He was the one who did the stonework on the old Knowler's store in 1900 after a cyclone on August 28 had torn the north half of the building away. He also helped to build the Anglican Church on Main Stret as well as the old Post Office (now the offices of the R.M. of Willowdale) and the old Town Hall (torn down in 1983). There were two stores in Whitewood in 1883, the Hudson Bay Company and McAuley's. Sarah often spoke of walking five miles to see their neighbour, the Robert Nickolson family, who had come from Ontario the same time as the Apperley family had. Thomas and Sarah helped in founding the St. John's School district, the only school district south of Whitewood at that time. On May 23, 1885 a board of trustees was formed to make arrangements for the building of a school. Thomas was a member of the Board. They also helped in the founding of the Methodist Church in St. John's. In 1925 a vote was taken and the Church was changed to the United Church. Thomas and Sarah had many friends in the town and surrounding district. Sarah lived on the homestead until her death in 1902. Thomas died in 1926. Both are buried in the Whitewood cemetery. After the death of John's first wife, Jennie, Sarah and Thomas helped to raise John's son Alva. Alva lived with them until John remarried in 1902. Reference "Thomas Apperley" The Annals of a Humble Race <April 24, 2019>, (URL: https://apperley.ca/getperson.php?personID=I8&tree=T0001). Date of birth: 25 January 1845. 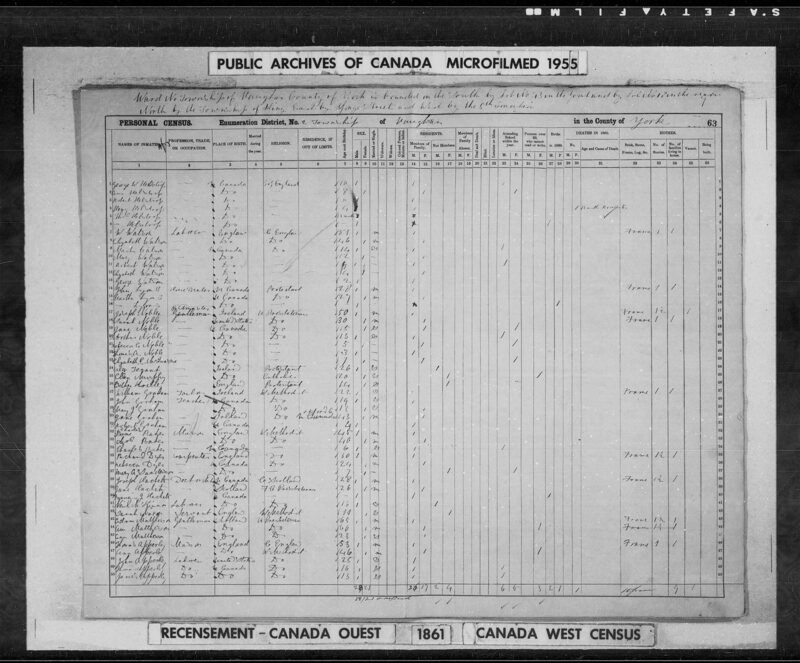 [S336] Census: Canada; 1851; Canada West, York, Vaughan [Library and Archives Canada] Image. 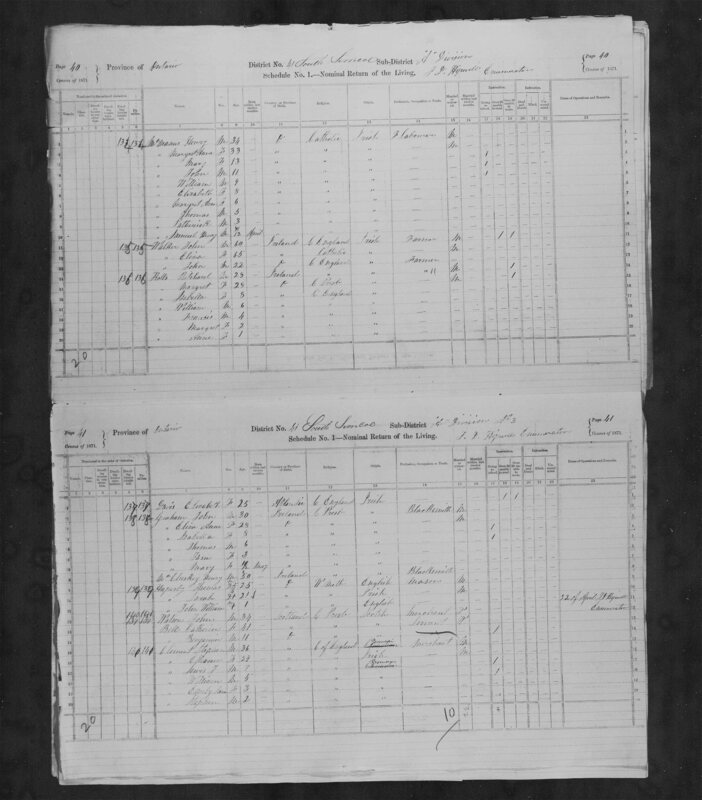 [S340] Census: Canada; 1861; Canada West, York, Vaughan [Library and Archives Canada] Image. 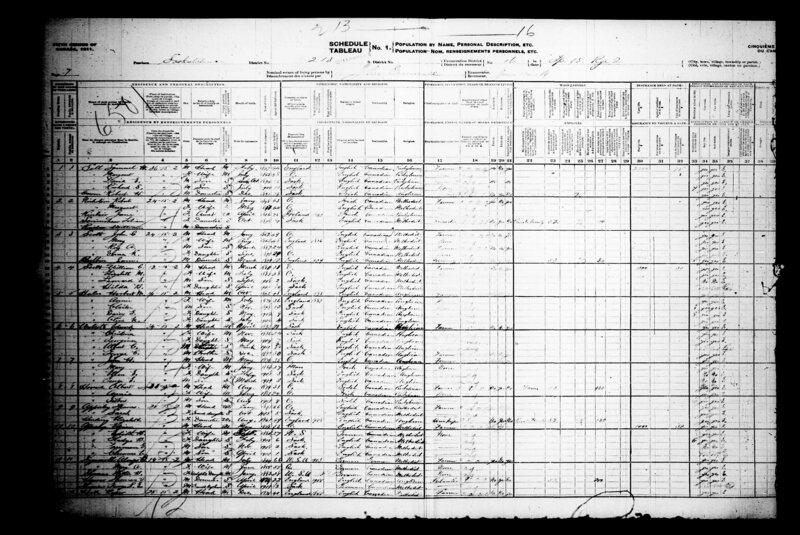 [S624] Census: Canada; 1906; Saskatchewan, Whitewood [Library and Archives Canada] Image. 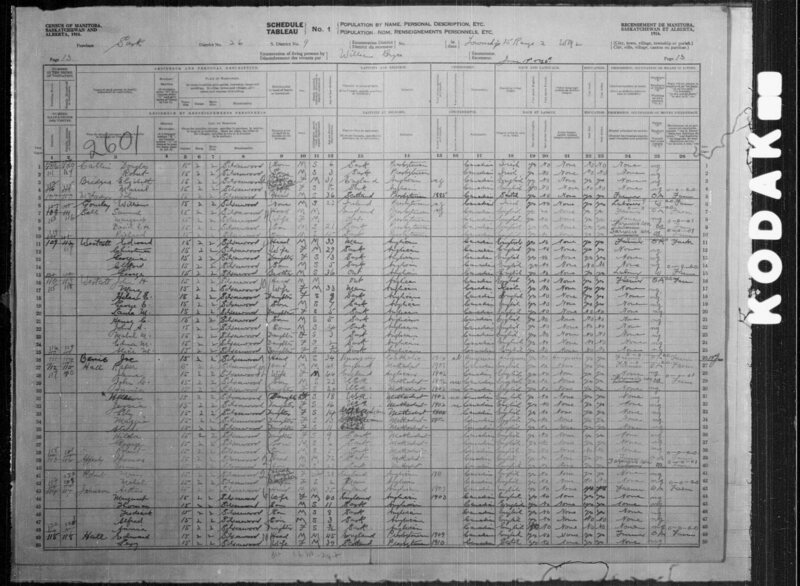 [S701] Census: Canada; 1911; Saskatchewan, Qu'Appelle [Library and Archives Canada] Image. 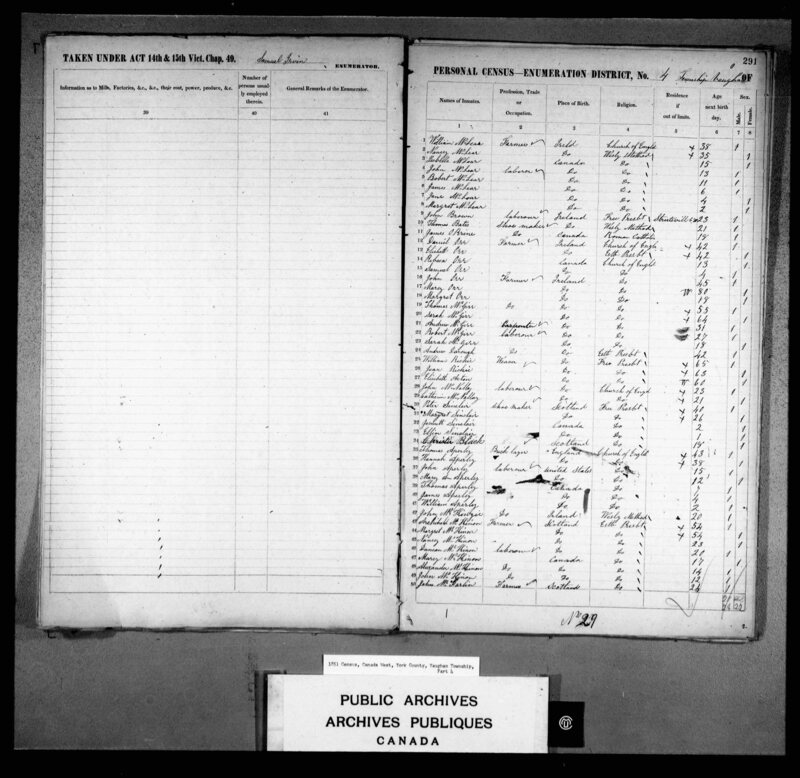 [S2535] Census: Canada; 1921; Saskatchewan, Qu'Appelle, Silverwood [Library and Archives Canada] Image. 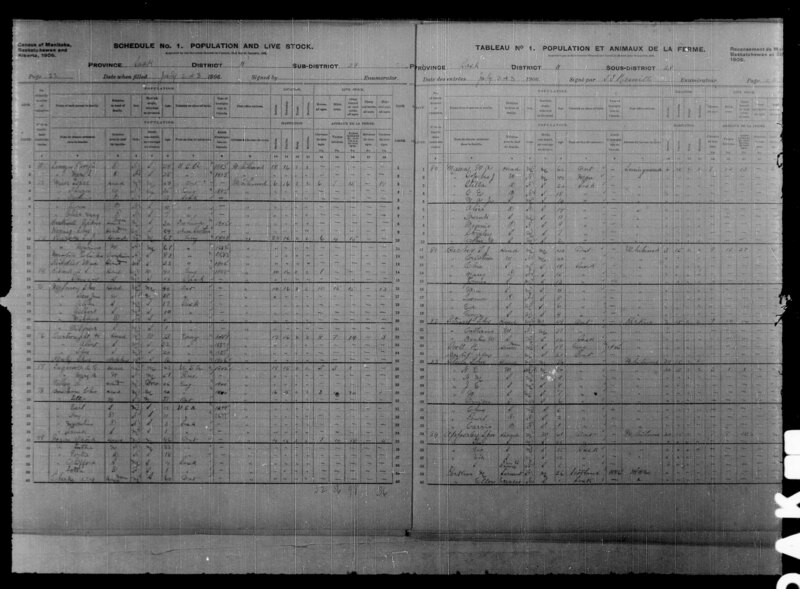 [S5165] Census: Canada; 1926; Saskatchewan, Whitewood [Library and Archives Canada] Image. 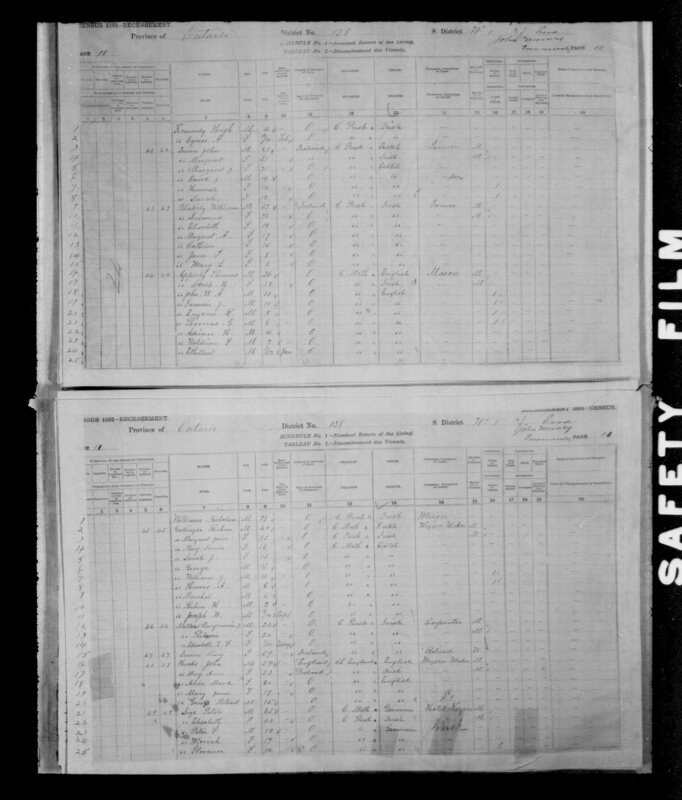 [S64] Death registration: Apperley, Thomas (Province of Saskatchewan). [S158] Obituary: Apperley, Thomas (Whitewood Herald; Whitewood, Saskatchewan; 26 August 1926). [S54] Obituary: Apperley, Thomas (Leader Post; Regina, Saskatchewan; 26 August 1926). [S520] Headstone: Apperley, Thomas & Sarah. [S474] Marriage registration: Apperley, Thomas and Sarah White (Province of Ontario; MS248/15-64-169/170). [S3] "Whitewood and Area 1892-1992," (The Whitewood History Book Committee; Whitewood, Saskatchewan; 1992) pages 422-423.